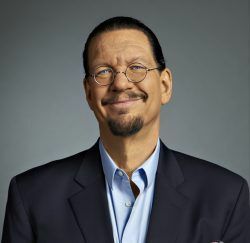 Penn Jillette is perhaps best known for the popular magic shows he’s been performing in Las Vegas with sidekick Teller for more than 20 years. But he’s also become a household name for his strong opinions, including a long-held belief that marijuana should be legal. The 61-year-old atheist, skeptic, Libertarian and free-market capitalist has never taken a puff of cannabis himself. But he says his life has been bettered by the creativity that artists and innovators have discovered while inspired by marijuana. He now hopes the entrepreneurs fueling the industry’s growth can keep that spirit of passion and innovation while still focusing on turning a profit. 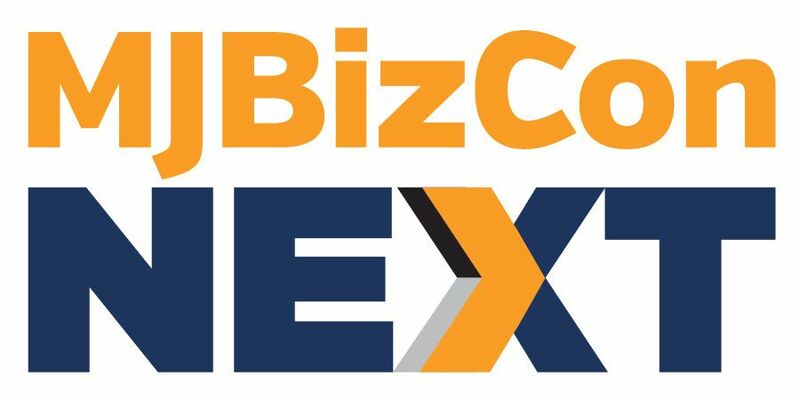 Jillette – who will keynote this year’s Marijuana Business Conference and Expo in Las Vegas next month – recently spoke with Marijuana Business Daily (which is hosting the event) about his views on the cannabis industry and legalization. Following are excerpts of that conversation, edited for length and clarity. I’m hoping very much that we get recreational marijuana. Medical marijuana is a bit of a cheat. The truth of the matter is that marijuana should be legal all over. Nevada should have been the first state to go. Nevada tries to be a slightly Libertarian state, we try to be pretty open about gambling, outside of Vegas we try to be pretty open about prostitution, people have a right to do what they want with their bodies … that certainly includes smoking marijuana. It would fit in perfectly with what Las Vegas and Nevada is. What I’m really hoping for is that the marijuana industry can keep its funk. When Nevada first started with gambling, even though it was illegal, even though it was all very, very shady, there was a certain kind of individuality and honesty. Then, in the ’80s, corporations really took over Vegas and it got very homogeneous and very mall-style in general and McDonaldized. Certainly the trend is that marijuana is going to become legal throughout the USA and I just hope that the marijuana industry can keep that mom-and-pop, funky style that Vegas had in the ’60s, instead of becoming monochromatic like Vegas became in the late ’80s and ’90s. That’s the biggest challenge to the industry I can see – just keeping it fun and honest and human. I certainly hope that there are specialty niches that keep the mom-and-pop people in it. You see that in beer, in soda, in cheese. You see that in all sorts of things that people use. We don’t just have Kraft Cheez Whiz. We have all sorts of wonderful artisanal cheeses, and so on. And I hope that there’s enough differences (in cannabis). One of the things that you’re seeing even in the medical marijuana stores is different brands, styles, flavors. I hope that there really are differences in marijuana and it’s not just delivering THC in the most direct way possible. That’s where I hope the mom-and-pop shops can live. The quality and the range and the variety. It seems that as this comes out into the sunlight there should be a lot of variation in taste and delivery and style. I would hope that they don’t celebrate so much being legal that they lose their heart and lose their soul. There was a passion behind marijuana. There was a fun behind marijuana. Although I’m not someone who smoked marijuana, I certainly enjoyed the benefits. I mean we certainly would not have seen jazz and rock ‘n’ roll go in the directions they went in, if not for in general drug use, but specifically marijuana. Our culture wouldn’t be the same. I just hope that as it gets more corporate, corporations realize the selling of marijuana is art. My definition of art is what we do after the chores are done. I hope they can remember to be beautiful, and to be interesting, and to be fun, as well as just being profitable. What a refreshing perspective. Goes right in line with the Declaration of Independence: “…life, liberty, and the pursuit of happiness.” And lets not forget individualism and creativity.